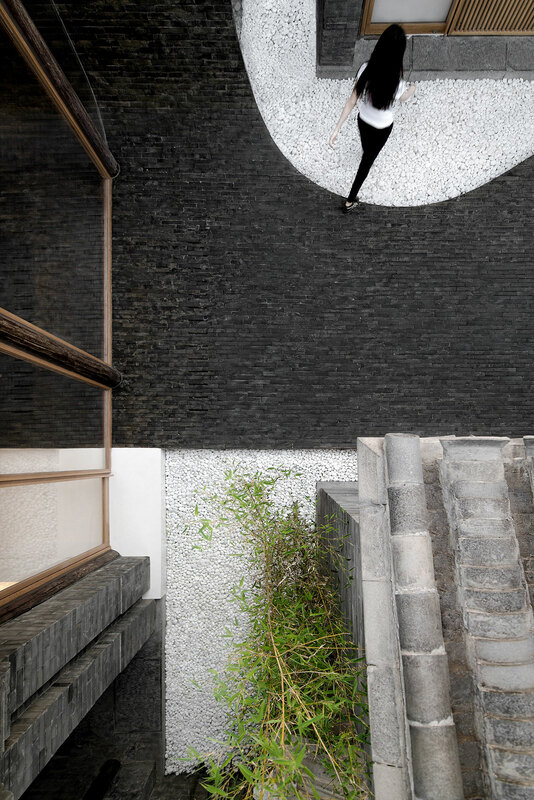 Photo by Wang Ning, Jin Weiqi. 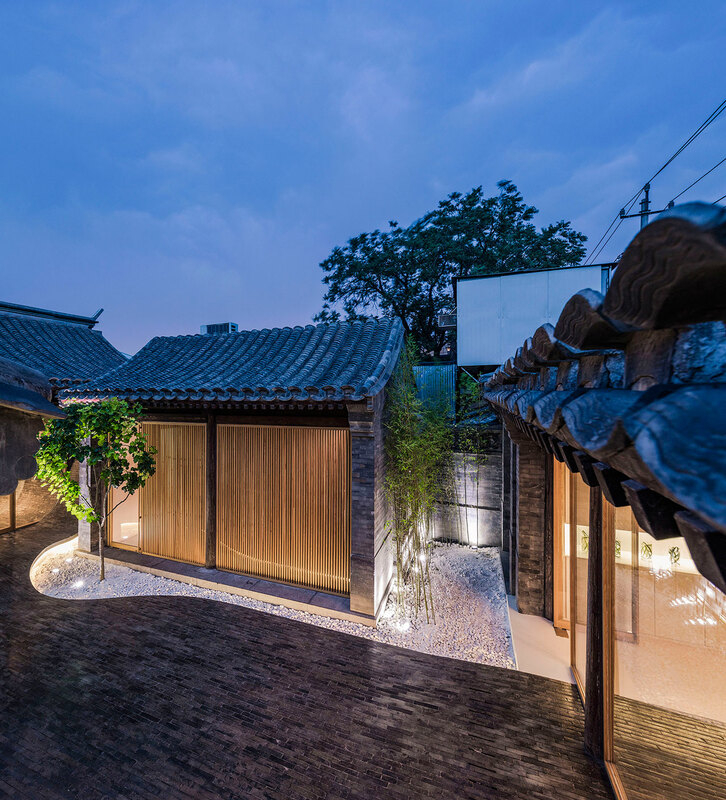 Siheyuans, the structures arranging units around a courtyard, are one of the most characteristic features of Chinese architecture. 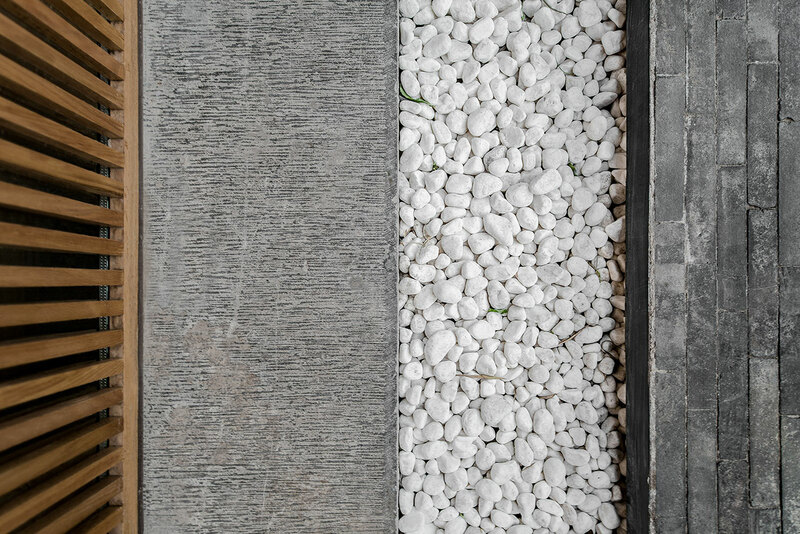 More than just a familiar visual, they have emerged and survived as the solution to specific functional demands, as well as the embodiment of a unique philosophy. 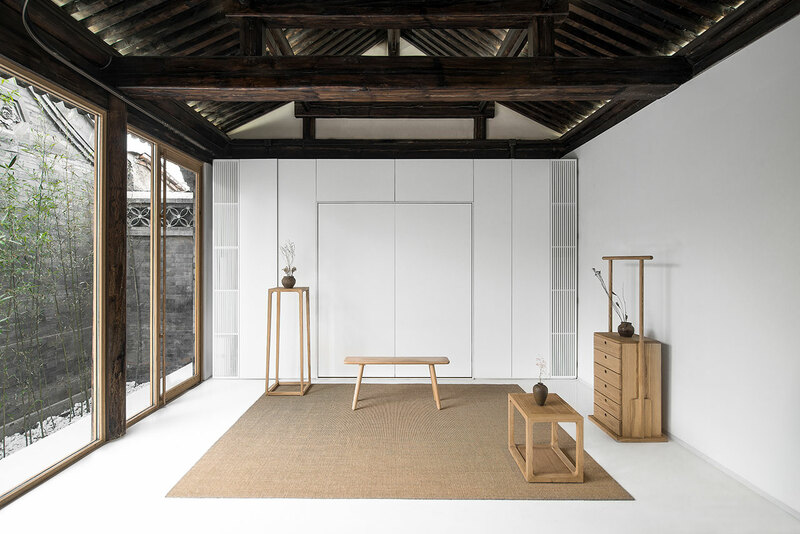 An ode to the family unit as interpreted in Chinese culture, siheyuans were originally walled communities for the members’ each single household. 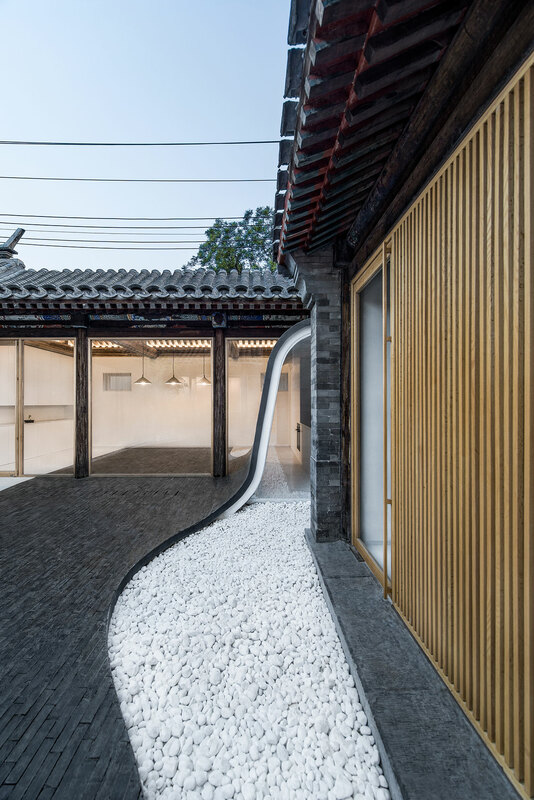 Twisting Courtyard, the siheyuan designed by Han Wen-Qiang’s extremely successful Archstudio, takes on this immensely charged cultural heritage and gives it, literally and figuratively, a twist. 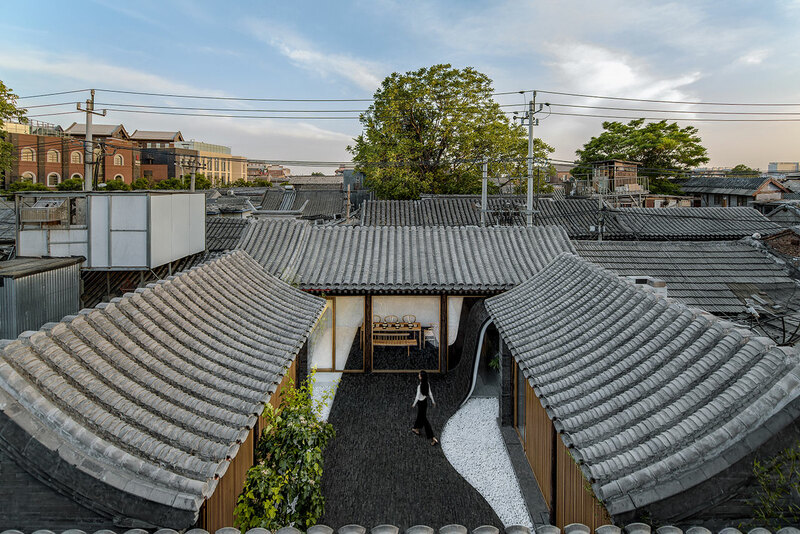 This 161.5 m2 complex is armed against the commotion of its Paizihutong location, in Beijing, with walls, such as those that have always outlined - for siheyuans - the borders of domesticity and publicity. 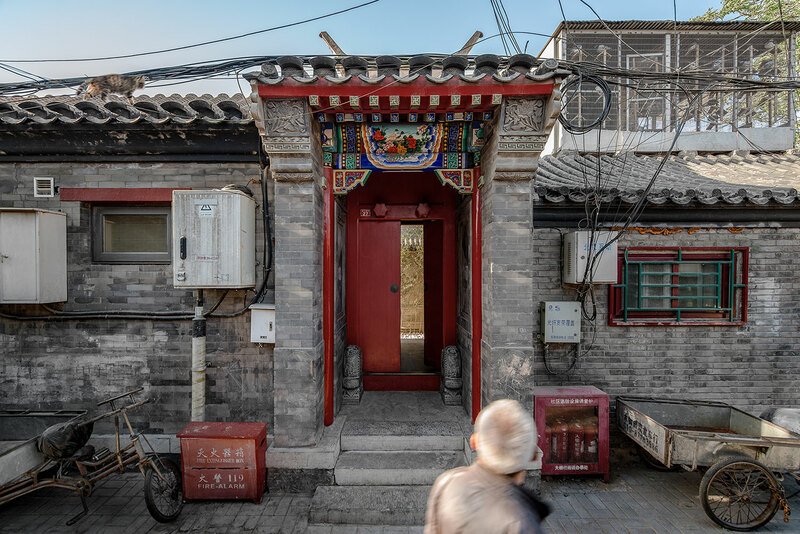 A red door provides the single entrance to the modernized siheyuan, which immediately reveals itself as a skilled exercise in flow. 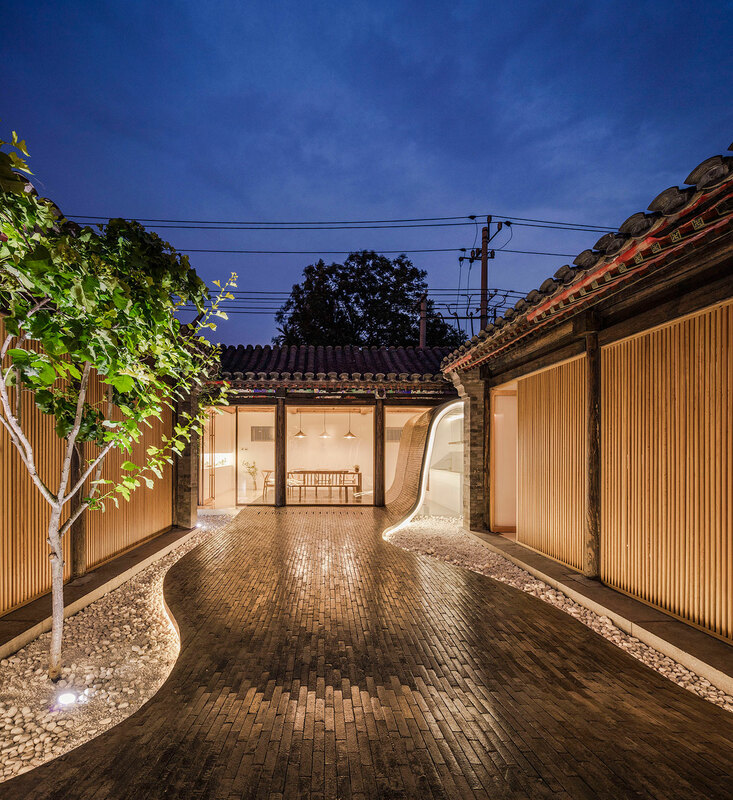 The lines of the dominating gray brick and earthy oak panels direct the gaze in a precious loop of energy circulating throughout the different buildings, while meticulously carved out curves allow for a sense of elevation. In the past, the ethnography of siheyuans was rigidly defined. 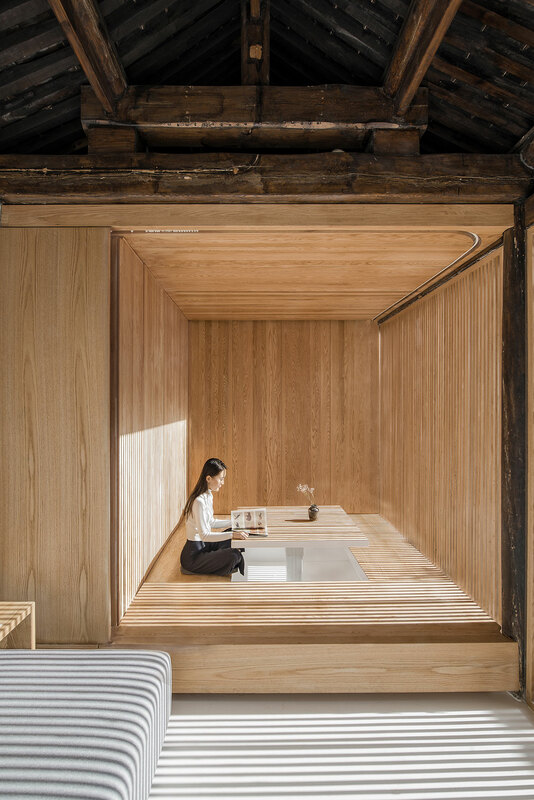 Residents found their place in different buildings, with the head of the family residing in the northern building, which received the most sunlight. As sunlight grew all the more scarce, so each inhabitant’s station and purpose was mirrored in their residence’s location within the complex. Unwedded daughters, who were not to be seen in public, lived in the most secluded buildings. 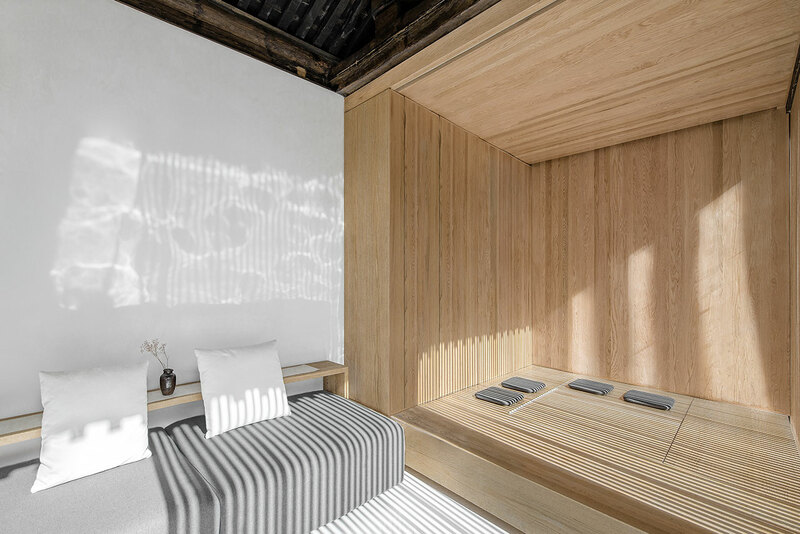 At the same time, siheyuans reflected Chinese culture’s ideas about the origin of the universe, with the different structures arranged according to the different elements in nature. 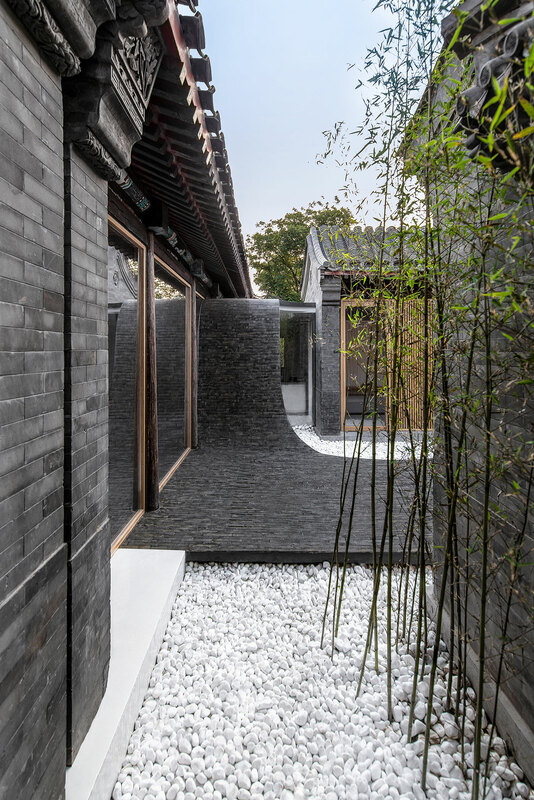 All these considerations would highlight the significance of the courtyard, as the space where these elements would come alive. 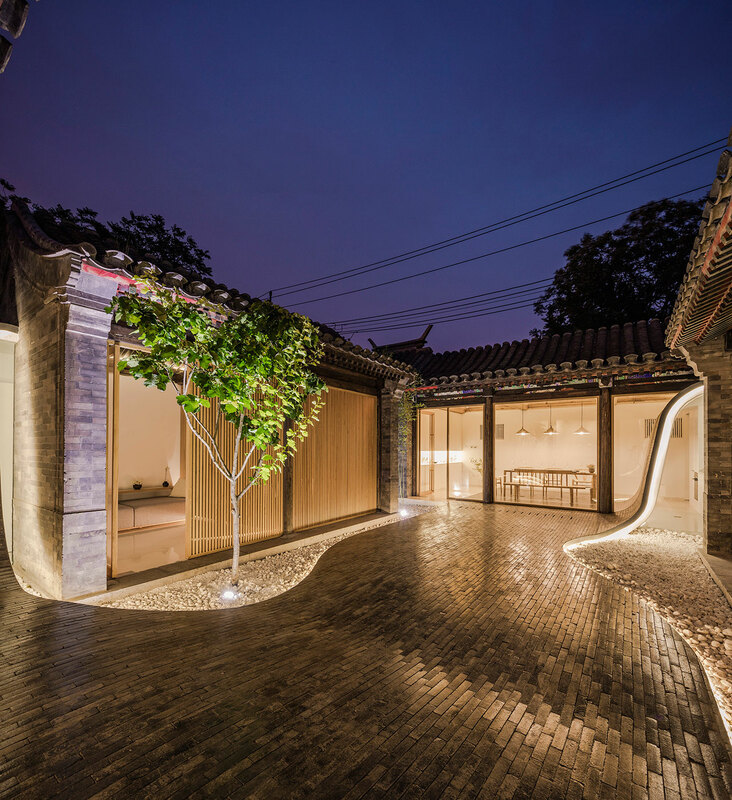 The architects have imagined the courtyard as an urban public space, already significantly distancing themselves from the walled exclusivity with which it was previously identified. 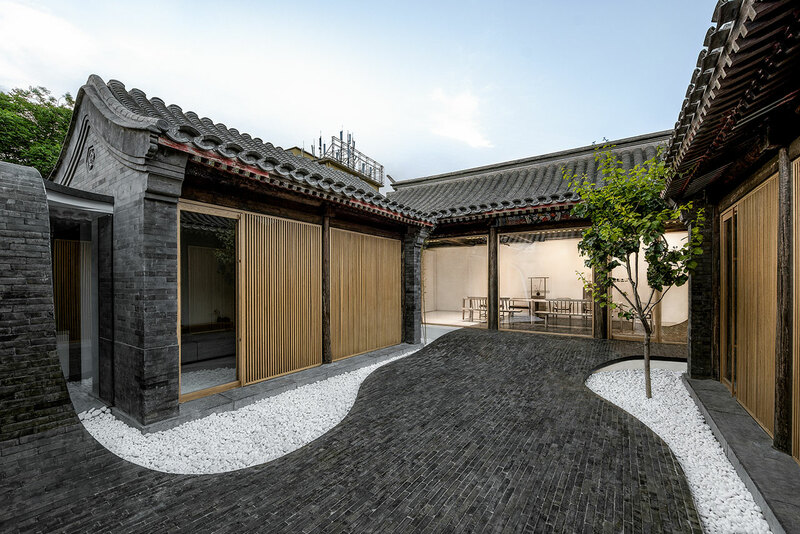 The siheyuan’s core is its courtyard. 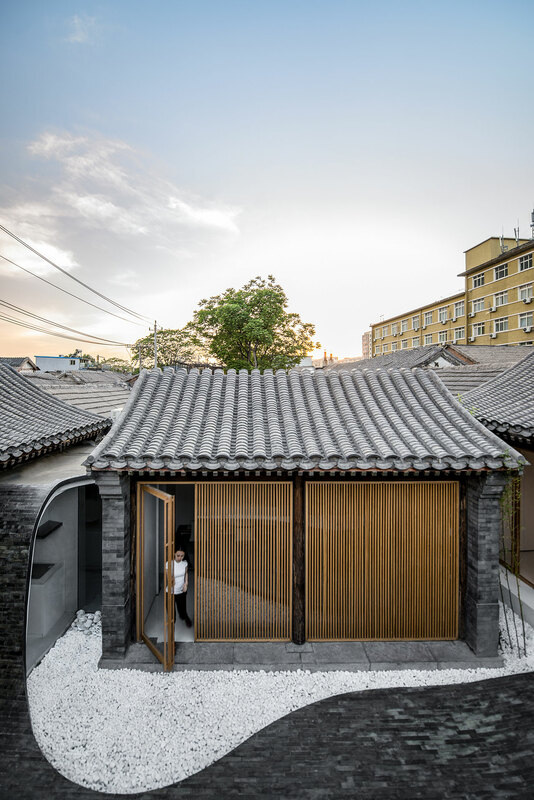 Archstudio’s thoughtful design grows out of this, and conceptualizes the modern purpose of the siheyuan within a reality where such complexes are not so much a symbol of power for the single families populating them, but communities of greater exchange. 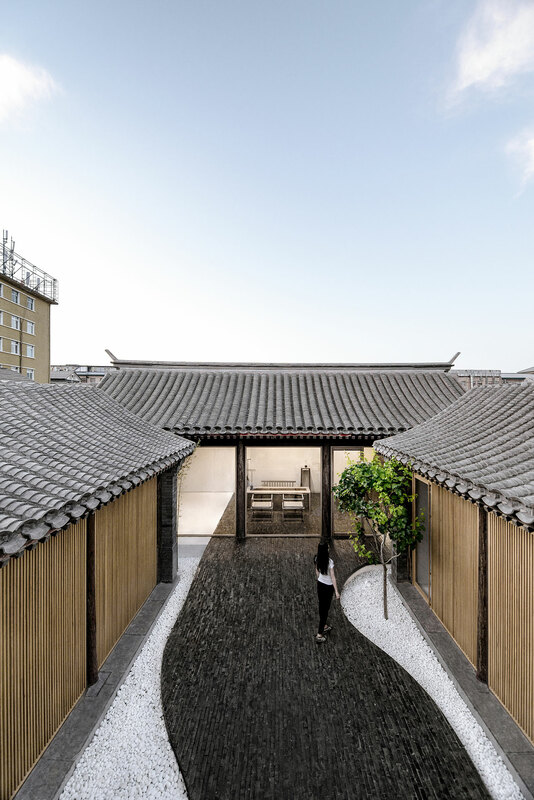 The architects have imagined the courtyard as an urban public space, already significantly distancing themselves from the walled exclusivity with which it was previously identified. They call it “the core of living fun”, and to encourage such a function, they pack all the necessary amenities into it. 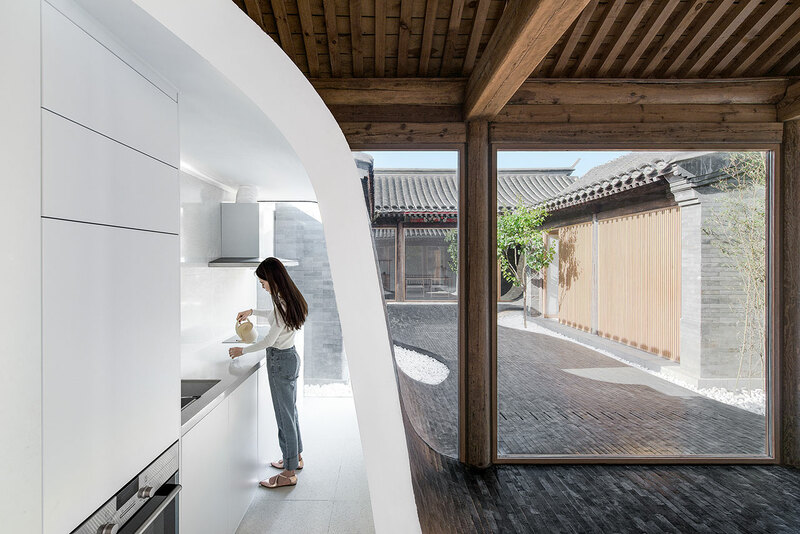 The execution is seamless: The curved wall that makes for the different heights of internal and external space conceals the siheyuan’s kitchen, toilet and warehouse . The integrated furniture allow for each space to be utilized publicly or privately. 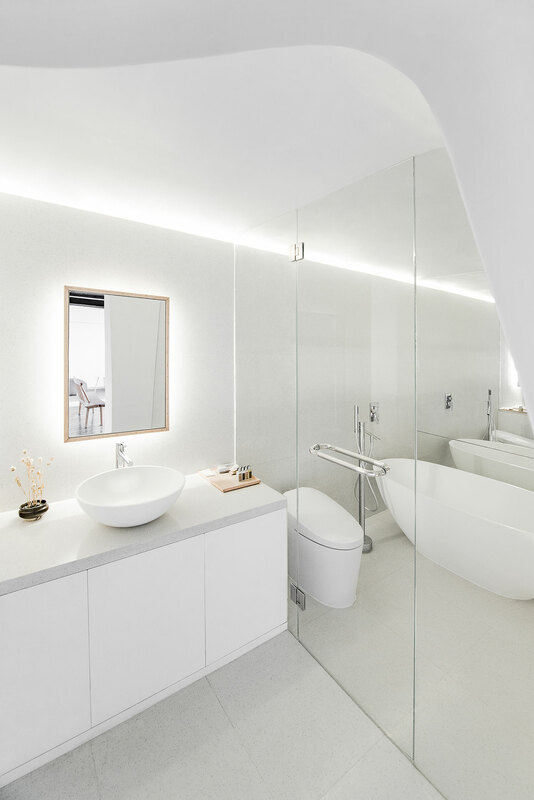 All the while, a considerate balance of tones and materials provides unique calm to the transition from private to public, and from historic to present. 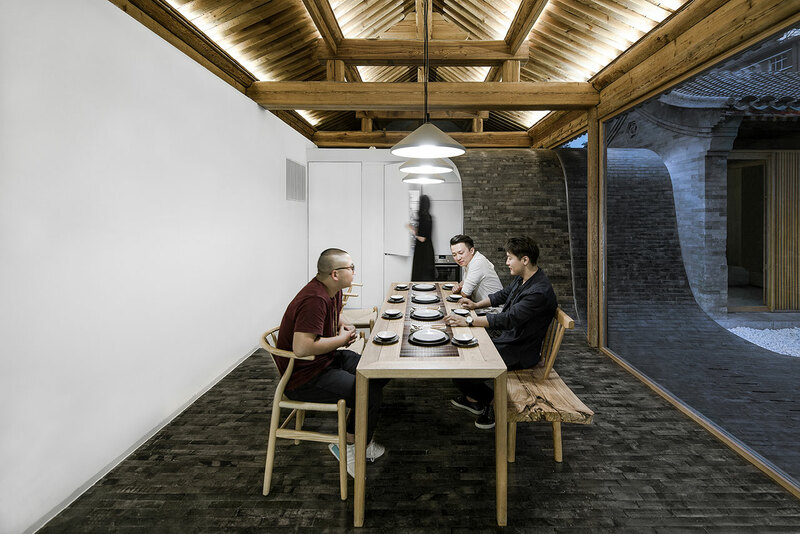 Where the siheyuan was once a tool for seclusion and introversion, Archstudio has taken it apart to repurpose it as a tool for extroversion and integration. It is a twist so wonderfully executed, so complete in its philosophy and function, that it ends up right where it started, without ever being the same.